We provide Point of Sale (POS) solutions which are powerful, flexible, affordable, and easy to use. Complete POS system is a ready-to-use point of sale system with pos software, cash drawer, receipt printer, barcode scanner, credit card reader, touch screen, pole display and a computer system. Say goodbye to spreadsheets and hours of bookkeeping. Integrate your sales, pricing, inventory, purchasing, and bookkeeping into one! Track product lifecycles, customer buying patterns, and seasonal trends to tightly control your inventory. 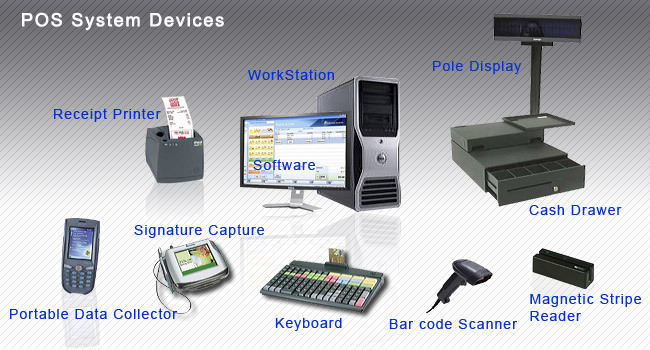 Tynex specializes in POS systems. We provide complete Point of Sale software and hardware solutions, as well as accounting systems for small to mid-size businesses. Our customers are in verticals such as: apparel, plumbing, construction, convenient store, and automotive accessory. Call us today for a no obligation phone consultation!